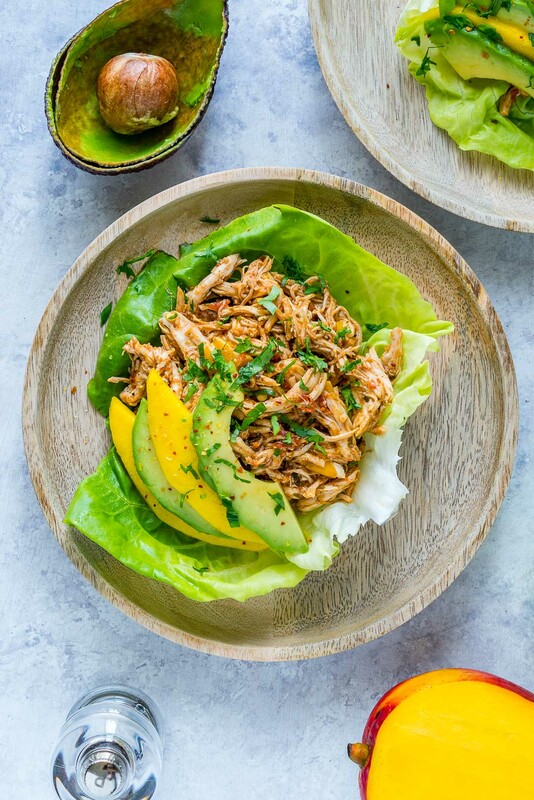 Crock-Pot Jamaican Pulled Chicken Lettuce Wraps for Fresh Clean Eating! 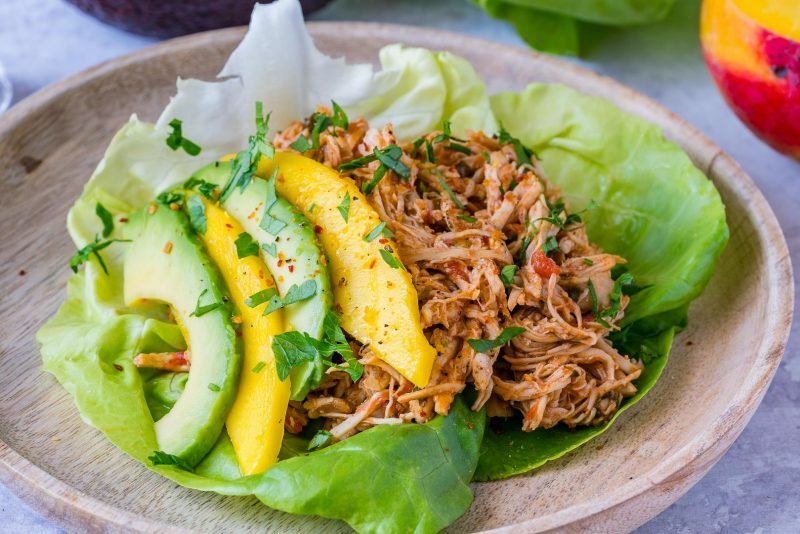 In a crockpot fitted with lid, arrange the ingredients as follows: chicken breasts, peppers, onion, garlic, cilantro, chili and diced tomatoes. Pour the broth and season with salt and pepper to your taste. Mix to combine, then place the lid on. When the chicken is done, shred with two forks and mix into the sauce. 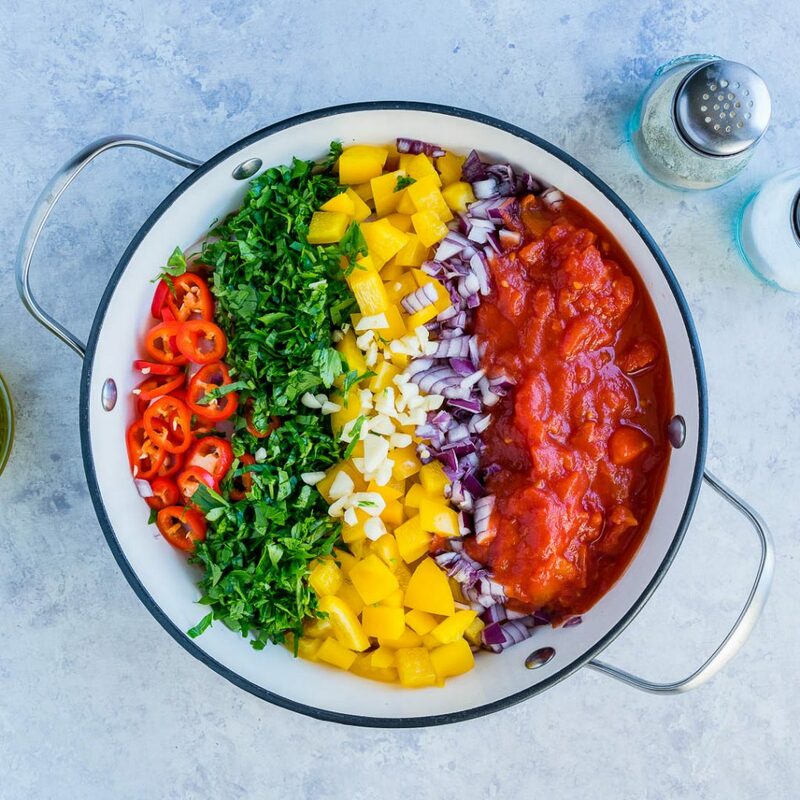 In a deep skillet fitted with tight lid, arrange the ingredients as follows: chicken breasts, peppers, onion, garlic, cilantro, chili and diced tomatoes. 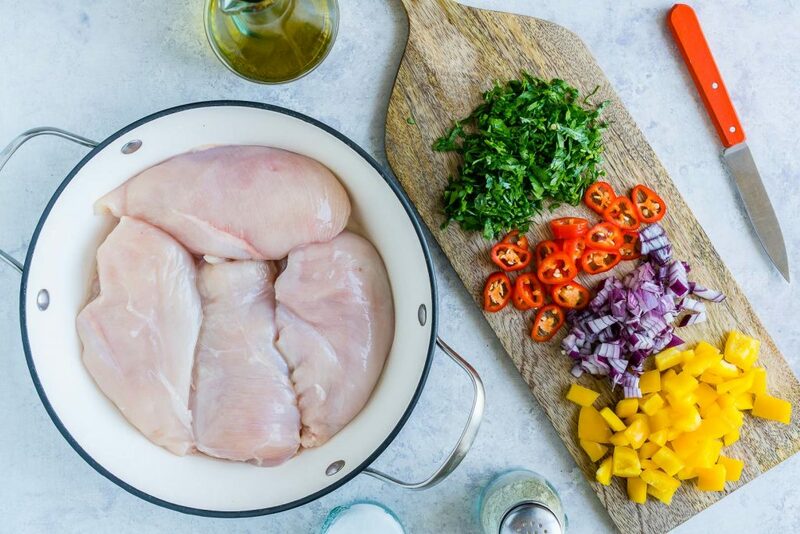 Bake in the preheated oven for about 40-45 minutes until chicken is cooked through. 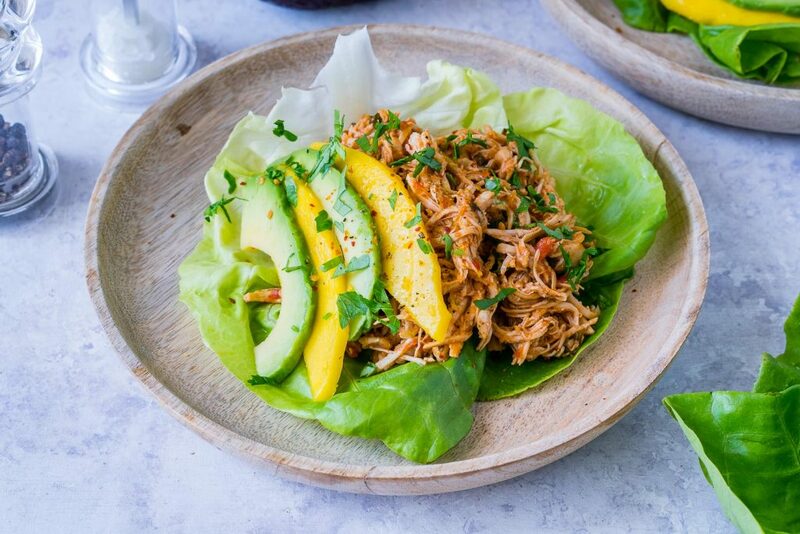 ❤ Rachel Clean Eating for the WIN! These are SO fresh and satisfying! with salt and pepper to your taste. Mix to combine, then place the lid on. 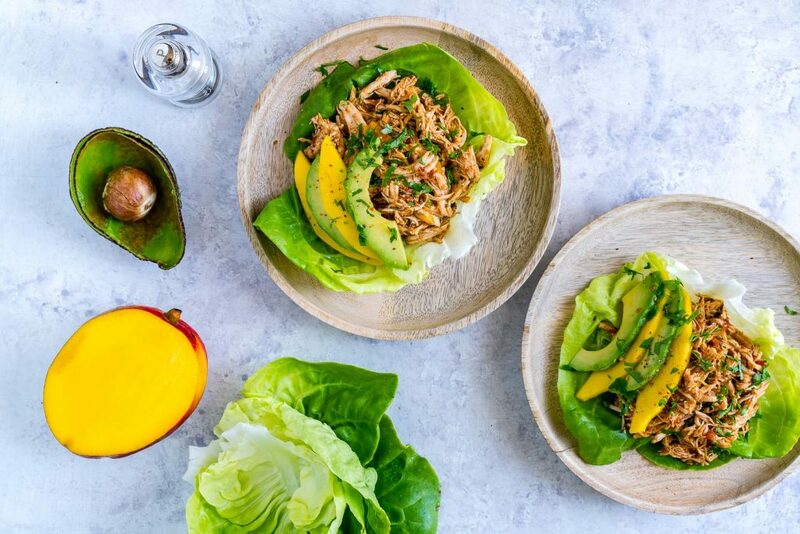 Assemble lettuce wraps, top with mango and avocado slices and serve.